Want to strengthen your Savage XL against rolls and crashes? 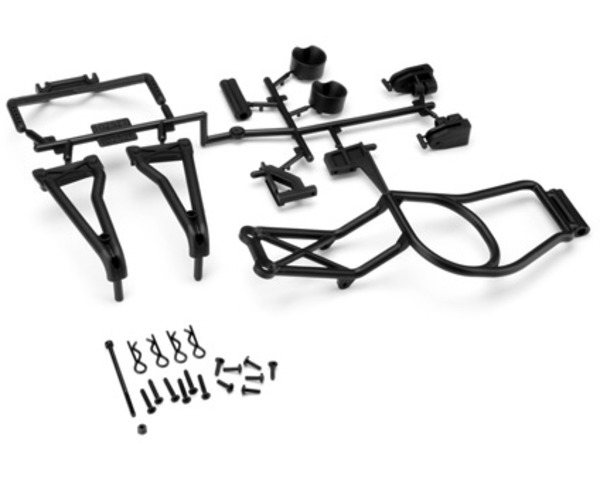 Add this Roll Cage Set to increase your truck's durability and cool factor! It's built from tough black nylon to withstand the wildest crashes you can throw at it. Extra bracing helps protect the engine heat sink from direct impacts. Also included are updated fuel tank mounts that protect the tank from crash damage. This Roll Case Set includes everything needed to attach the Savage X-style roll cage to the Savage XL.